Kawasaki VN 900 Vulcan Custom S.E. The Vulcan 900 Custom’s appeal is more than just paint-deep. 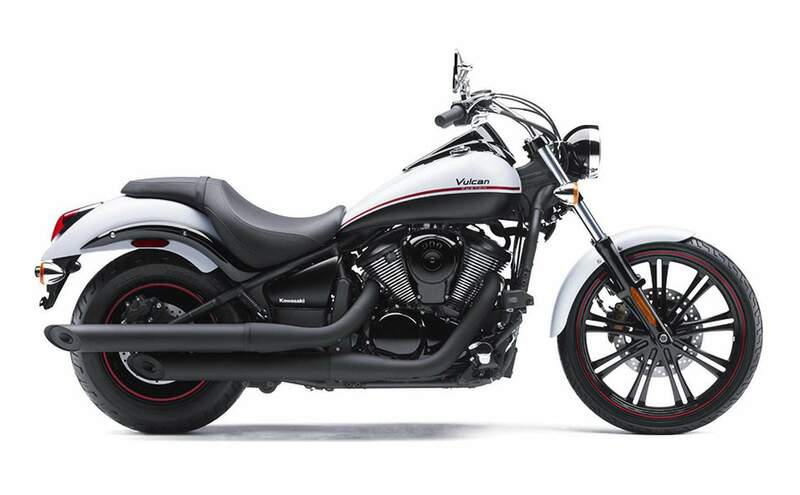 It has a fuel-injected 903cc V-twin that produces good roll-on acceleration that rivals the get-up-and-go of much larger motorcycles – with a smooth delivery that’s easy to manage. It’s wrapped in a nimble chassis that lets the 900 Custom turn and handle far better than any heavyweight cruiser. 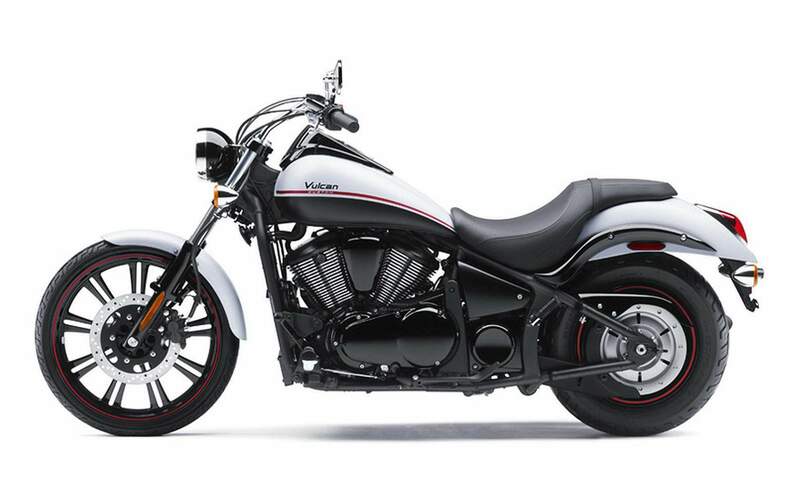 The Vulcan 900 Custom’s unique, edgy design shows it can stand out from the cruising crowd. Kawasaki engineers and designers concentrated on delivering a motorcycle with a customized appearance typically found only on expensive two-wheel offerings. A massive rear tire, light-looking front end accentuated by a thin 21-inch cast wheel, and sculpted bodywork top the stand-out features of the Vulcan 900 Custom. Perhaps one of the most striking examples of this Vulcan cruiser’s distinctive look is its large-diameter 21-inch front cast wheel – itself somewhat rare in the custom-building world. The wheel features spokes arranged in pairs for a special visual appeal. Balancing the lightweight look of the front end is a low, wide rear wheel featuring a 180mm tire on a 15-inch cast wheel that gives the rider the feeling of sitting on a one-of-a-kind, made-to-order motorcycle. Bridging the visual contrast between the front and rear wheels is a sleek and subtle fuel tank. Its flowing lines easily lead the eye along the careful and delicate curves that blend together the highly customized form of this gem of mid-sized cruisers. The frame provides understated support for the Kawasaki artistry that is the appealing and gutsy, fuel-injected V-Twin Vulcan 900 Custom. Its stylish aesthetics grace a platform that’s perfect for customization with Kawasaki accessories. 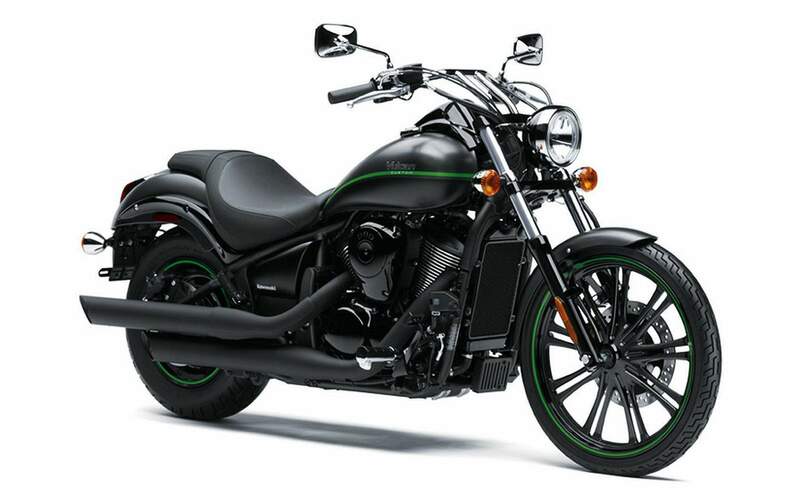 Ready for anything from local streets to highway speeds, the Vulcan 900 Custom’s good power, easy maneuverability, and startling good looks make this Kawasaki the one to own.